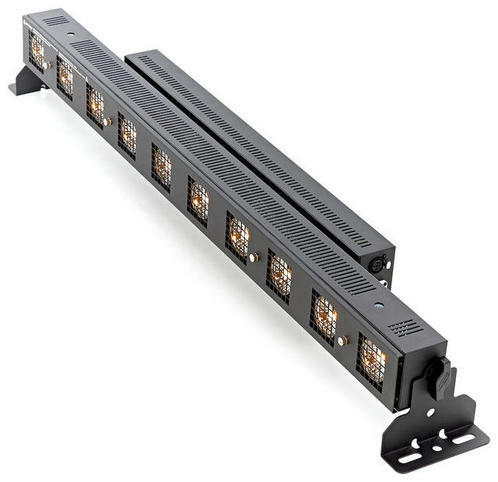 The classic 10 cell batten equipped with built in dimming. In order to make the unit most versatile for many applications you can select different DMX modes: 1 channel, 2 channel, 5 channel and 10 channel. For stand-alone applications, the Sunstrip Active is equipped with 16 built-in patterns as well as a manual dimmer. A variety of mounting options including end brackets and direct fixing points makes rigging these fixtures easy in any application.